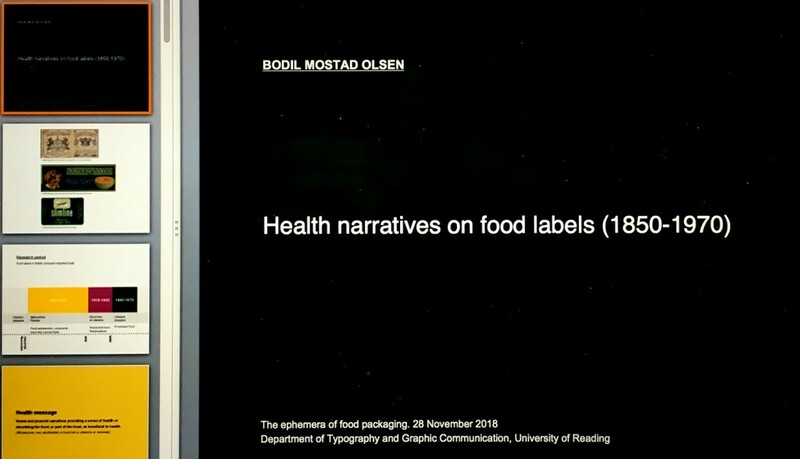 PHD | Workshop and talks regarding the ephemera of food packaging at the Department of Typography & Graphic Communication, University of Reading 28 November 2018. 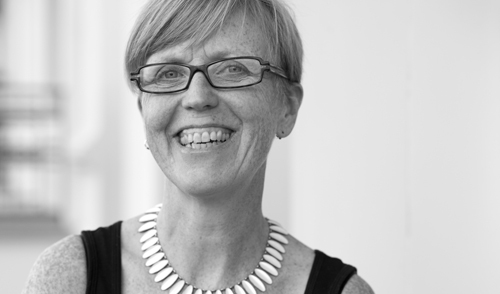 Michael Twyman, Alison Black, Guy Baxter, Julie-Anne Lambert and myself. 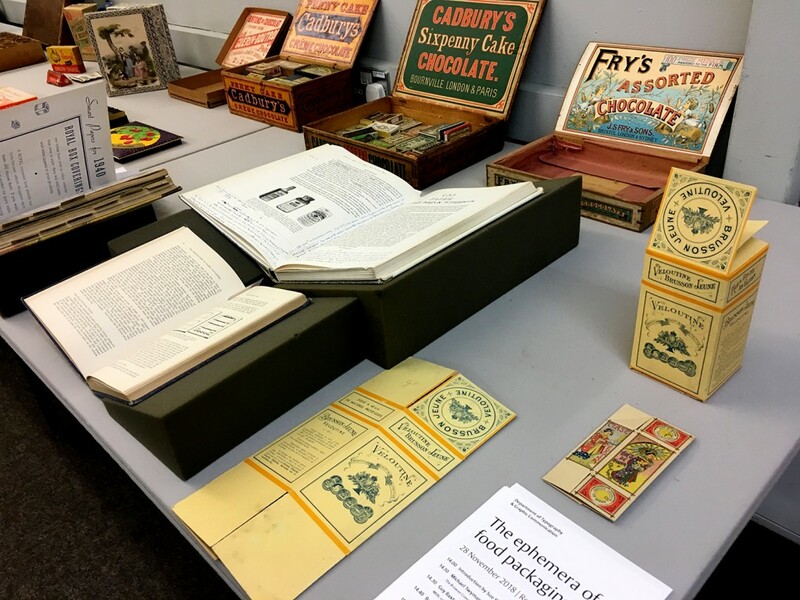 Great inspiration and fascinating exhibition showing food-related ephemera and books.